So now that you’ve read my adventure and Kendall’s adventure from the Live Love Spa Splash! event, here are all the awesome products we got and what I think of them!!! I’d never heard of this makeup brand before, and now I love it!! First off, is the “Ultra-Thin Liquid Eyeliner Pen” ($26)! This is perfect for winging your eyeliner because the brush is so tiny (0.01mm), that you can actually perfect it! And it won’t come off unless you want it to! Next, their “Eyeliner Pencil” ($20). This pencil is easily my new favorite pencil ever created! It’s so smooth and the color doesn’t let up through the day! You never have to reapply it, which I find myself doing a lot with other brands! Plus, the liner is actually loaded with antioxidants and vitamins to condition your skin while wearing it!! This is what the ingredients are: “PHYTOSTERYL CANOLA GLYCERIDES: bioactive ingredient based on pure vegetable lipids that maximizes firmness and elasticity for younger looking skin; TOCOPHEROL: vitamin that acts as a natural antioxidant to promote anti-aging and cellular renewal; TOCOPHERYL ACETATE: high potency vitamin that acts as a skin conditioning agent for photo anti-aging. They also recently launched a new mascara called “Mascara Amplified” ($26)! This mascara is awesome because it’s not water-proof, its water RESISTANT. Which means you can actually go swimming, work out, anything and it won’t smudge or flake or run! It stays on until you decide to take it off. Not possible right? Well, it’s true! It’s because instead of just a regular mascara where it just liquid on a brush, it creates little tubes on each of your eyelashes so that it stay on! This also means you won’t look like a raccoon when you take it off! It’s just tiny little tubes that come off when you decide to wash your face! And lastly, my favorite new discovery, their “Eyebrow Mousse” ($24, mine is in the Auburn color). This is honestly a MUST HAVE in every girls make up kit! Once again, completely water-resistant (sometimes I even sleep with it on), and no smudges, ever!!! This product is liquid, applied with a brush, and you simply just brush it in to your brows!! Once it’s dry, it completely fills them in and gives a full look, without looking like you have filled your eyebrows in! Quote from their website: “The innovative brow makeup also contains a peptide to moisturize and provide anti-aging treatment to the skin beneath your brow.” All you have to do at the end of the day is remove it with a gentle makeup remover….other than that, your eyebrows will always be looking fab! I fell in love with this line and I highhhhllyyyy recommend you try it out! Also, the products are pretty reasonably priced for their amazing quality!!! COOLA is a brand that specializes in certified organic sun protection!!! Not only does it protect your skin, but it also fills it with vitamins to help you skin retain moisture! First is their “Sport SPF 30 Pina Colada Sunscreen Spray” ($32) for those days when you’re out in the sun!! I’m a major supporter in sunscreen, I wear it every single day…even if I’m not going in the sun much! It’s so important to protect your skin from sun damage…no one wants to have those brown sun spots everywhere when they’re older! So if you have to be in the sun, make sure you use sunscreen! This spray is awesome because it smells absolutely delicious!!! None of that nasty suncreen smell that most brands have, you actually smell like a yummy pina colada! I reapply it all the time just to constantly smell good! Next is their “Face SPF 30 Cucumber Moisturizer” ($36). So obviously, it smells like cucumbers, which is soooo refreshing in the morning!!! It has a matte finish that doesn’t leave you feeling oily, major plus, and is actually really healthy for your skin! Quote from their website: “Organic Acai Oil – high in Omegas-3/6/9, Vitamins B1/2/3 and Vitamins C and E – delivers powerful anti-aging benefits. Organic Evening Primrose and Linseed Oils reduce inflammation, even tone and balance moisture. Patented Oleosome Technology, derived from Safflower and rich in moisturizing Vitamin E, enhances sun protection and helps time-release actives, resulting in 75% less actives! The phyto-protector Plankton Extract stimulates and rejuvenates skin, while a refreshing Cucumber scent soothes the senses.” Lastly, I tried out their “LIPLUX SPF 15 Peppermint Vanilla Lip Balm” ($12). Not only does this taste and feel like heaven, but it has vitamins and antioxidants to keep your lips super healthy! Quote from their website: “Our unique blend of fruit butters like Raspberry and Avocado hydrate the delicate skin of the lips.” I love that there’s finally a suncreen brand that not only cares about your health, but makes products that you actually want to wear with their yummy scents!!! HydoPeptide is a line of skin care developed to keep your skin beautiful, healthy, and ageless. I was given their “Anti-Wrinkle Dark Circle Concentrate Eye Cream” ($60) to try out! I’ve always had really bad circles under my eyes, my mom even used to put cucumbers on my eyes when I was a kid to try and get rid of them! Sometimes there’s not a lot you can do. It’s not always about how much rest you’re getting, it can just run in the family! So I was super excited to try out this eye cream and see if I could actually get rid of those darn circles! And to my surprise, it’s actually working!!! I’ve tried a lot of products before, but this seems to be helping more than any of the others ever have. I apply just a dimes worth every night before bed and in the morning after I wash my face! I’ve only been using it for about a week now, and I can already see a difference. It also prevents wrinkles around your eyes…which is one of my biggest fears!!! I never want to get crows feet by my eyes or wrinkles….it automatically makes you look older…so I’m really happy I’ve found something to prevent that fro happening!! I understand that this product is a little more on the expensive side, but one little bottle will last a realllly long time since you use such a small amount when applying, and if this is an issue for you too….I highly recommend this product! 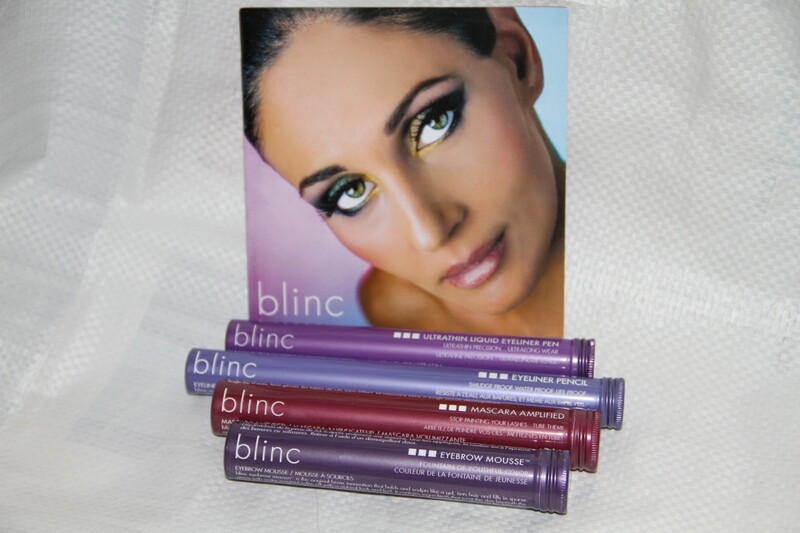 PS- This product is also Paraben free and is not tested on animals (woohoo!!!). 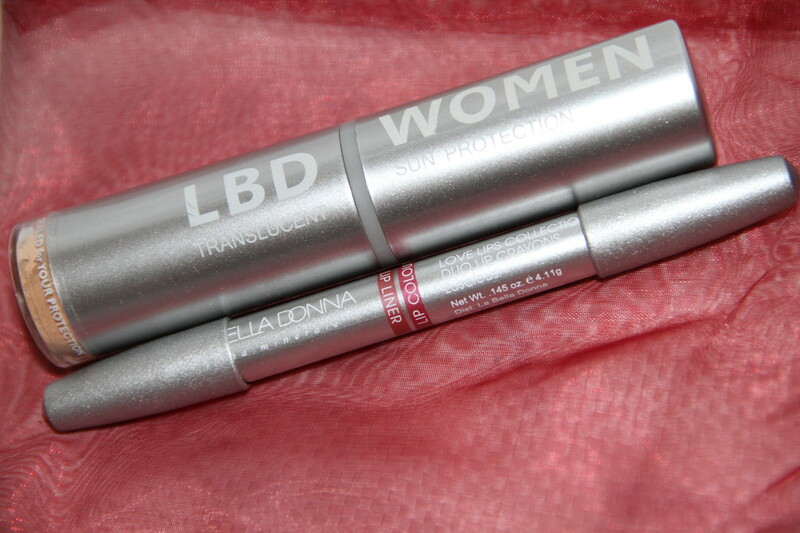 La Bella Donna is a mineral makeup line that focuses on skincare and then the makeup part of it! I had a touch up done by the lovely ladies of La Bella Donna at the Live Love Spa event, which you can read about here, and they also sent me home with a few little presents! I got their “LBD – Women Mineral Foundation with Sun Protection” ($65) which I’ve been using on the days where I just have to run errands and don’t feel like putting a full face on!! I also got the “LOVE LIPS Duo Lip- Crayon in Luscious” which I adore! It’s the prefect color for me, a mix of pink and purple to brighten up your face!! I love mineral brands, and this is definitely one of the best out there. 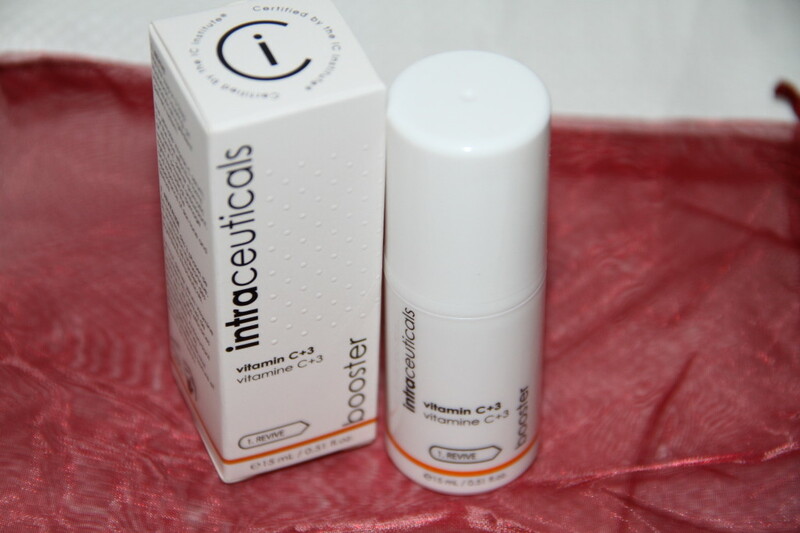 Intraceuticals is a skin care brand that uses oxygen to plump and hydrate the surface of your skin! This brand specializes in creating a complete skin care regime especially for you with the added plus of boosters!! I took home the “Vitamin C+3 Booster” which brightens your face and helps strengthen your skin with 3 synergistic forms of Vitamin C!!! I take a Vitamin C pill everyday, but this has really helped my skin glow!!! Now, I know I already wrote about my Moroccanoil hair treatment and the products in my adventure post, but I figured I’d post this photo of their pretty products…just because I love them! And I’m pretty obsessed with their Moroccanoil treatment ($43), and so is my boyfriend! It smells so amazing and is really the best final touch after doing your hair!! I’d never heard of Sothys before the Live Love Spa event, but now I’ve fallen in love. Sothys is a brand from Paris that’s been around for more than 60 years! Quote from their website: “Scientists at Sothys in France collaborate with universities and research laboratories in order to develop products and professional treatments with formulas combining well-being and technology for a positive transformation effect on body and mind. Sothys continues to set the pace with innovative collections featuring cosmeceuticals, marine & botanical actives and COSMEBIO certified organics.” I got to try out their “Exhilarating Body Mist” which smells of ginger and cinnamon and is so refreshing!! The body mist is designed to soften and hydrate your skin with its milky spray! I’ve been using this at night before I go to sleep and I wake up to the softest skin in the world!!! I love this body mist so much! This brand is only sold in spas, so visit your local spa to see if they have it available!!! South Seas is an airbrush tanning salon (the even do the spray tanning for Dancing With The Stars) that expanded into creating paraben free spray tanning and body care essentials!!! I’m not huge on looking tan, I love my fair skin! But for those of you who like to be tan, this is the way to go!! Spray tanning is the healthiest way to get a tan these days, keeping your body away from sun damage! If you’re like me, this brand is still a great one to know about! They have this amazing shimmer lotion that makes your body sparkle in the light and so many other great products!! I went home with the “Island Tan Pressed Bronzer” ($32) and I use it every day! 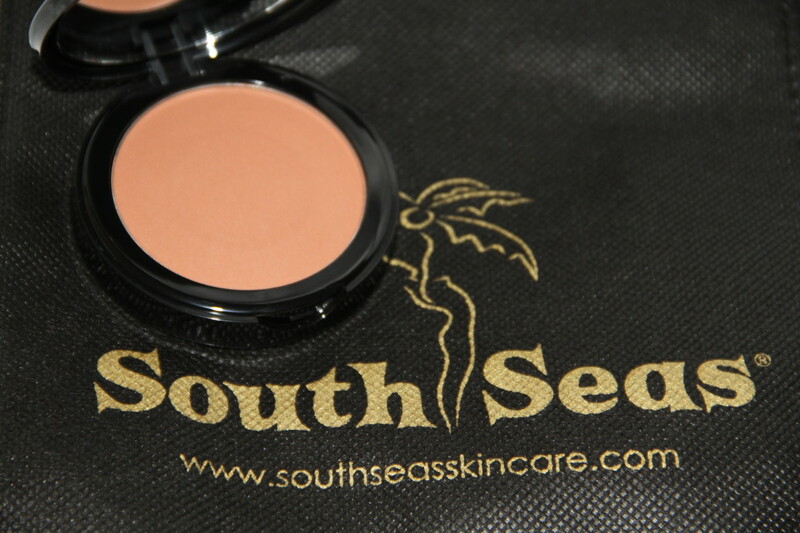 A good bronzer is hard to come by, and this is the perfect color!! It’s not too dark and not too light, and of course, is 100% natural and paraben free! 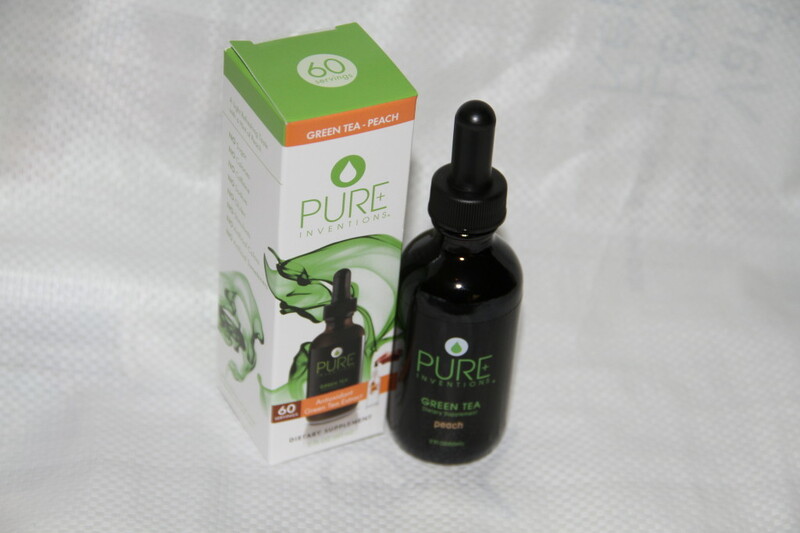 Pure Inventions has created a convenient way to keep your body healthy! With this little bottle, you can continue to stay well and improve your hydration. All you have to do is put a few drops of your favorite flavor in a glass of water and you’re good to go! I have the “Green Tea Peach” ($29.95) flavor and it’s so delicious! There’s no sugar, no artificial sweeteners, no artificial ingredients, no caffeine, and no gluten….100% healthy! You can also get specialty bottles to help with sleep, your liver, your hair and nails, and more!! I keep this little bottle in my purse so I can stay healthy all day long! I absolutely love all these products!! I hope you try them out! !